Ciutadella park is a beautiful park placed in Ciutat Vella district. You can easily find it walking down Passeig de Sant Joan from the enormous and colourful Arc del Triomf or walking from this Via Laietana apartment. In the south area of the park you’ll find the Barcelona Zoo, a centre for conservation, investigation and education about animals. There, children will have fun and learn about fauna and flora around the world at the same time. This zoo became worldly famous thanks to one of its guests: Snowflake. Here we have a plan for those who enjoy nature, mountains and outdoors activities: visiting Collserola Park. There, we can find Tibidabo mountain, which is together with Montjuïc the most famous hill in Barcelona. Walking along the multiple roads and visiting the theme park located on the top are great ways to enjoy Barcelona in family. From the Information Center, there is a beautiful route to walk to the temple located on the summit of Tibidabo, called Sagrat Cor (Holy Heart) Church. One of the most recognizable figures of the temple is the sculpture of Jesus placed at the very top of the church. This sculpture reminds us the statue if Christ the Redeemer, located in Brazil. On the top of Tibidabo we also find an amusement park built during the las years of 20th century. Tibidabo’s theme park is one the oldest of the world, and its main attractive is L’avió (The Plane), a flight simulator powered by its own propellers. If your family is a football lover, don’t hesitate to go to Camp Nou and enjoy the whole experience. There is a museum where you can discover the history of one of the most famous football clubs around the world: F.C. Barcelona. There, you can also see the trophies won by the club. Additionally, you can take a tour around the stadium. The visit includes going to the grandstands, the field, the bench… You will be able to visit even the changerooms! With no doubt, Camp Nou is a great option for football lovers who are visiting Barcelona in family. 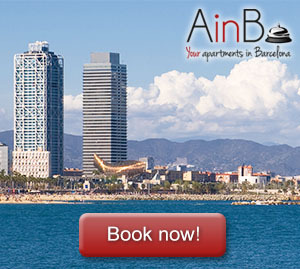 There is not better way to discover the variety of aquatic Mediterranean fauna that visiting Aquarium Barcelona. There, we can see more than 11.000 maritime animals which are distributed in 35 aquariums. Sharks, morays, gilt-head breams, rays… in your visit to Aquarium Barcelona you will be able to see all those animals and enjoy an unforgettable family day in Barcelona.